This Sunday (November 5), join Atom Araullo in his first-ever documentary with GMA Public Affairs — Philippine Seas — and uncover the wonders and threats surrounding the Philippines’ marine gems. The Philippines boasts of abundant seas and oceans where unique marine species and coral reefs can be found. And while majority of Filipinos are still dependent on the ocean to survive, this treasure is currently facing various threats. In making Philippine Seas, the new Kapuso documentary-maker embarked on a rigorous ten-day journey across Luzon, Visayas, and Mindanao. In Bais, Negros Oriental, Atom looks into the current situation of dolphins once being caught and slaughtered before becoming the province’s leading tourist attraction. Here, he encounters a group of “bow-riders”, dolphins that ride alongside passenger boats. Off the coast of Sarangani, Atom experiences what life is like for tuna fishermen who wait days for a single catch. Under the harsh elements, Atom and his team witness the daily struggles of those who rely on the seas for a living. The most heartbreaking moment is discovering a group of fishermen detained in Indonesia for fishing in foreign waters. Atom talks to Samuel, a fisherman who has not seen his newborn child since being detained in Indonesia. Through the Philippine Seas team, Samuel gets a chance to look at his new-born daughter for the first time. International poaching remains a huge problem in the Philippines, too. In Palawan, Atom and his team visit the site where sharks were recently confiscated from Vietnamese poachers. Yet all hope is not lost. In the same seas of Palawan, Atom comes face to face with the biggest sea turtle he has ever seen, proof that there is still something worth saving here. And finally, the team behind Philippine Seas also gets the surprise of their lives when a rare and beautiful creature makes an appearance. Once thought to be a mermaid in the olden times, the dugong or sea cow has an almost mythical status in the world of divers and fishermen. “Ang dugong kasi critically-endangered species. Kaya para makalapit ka sa isang dugong at makunan mo ng video ay isang pambihirang pagkakaton. So we were very lucky,” he shares. In this special documentary, GMA Public Affairs will also features the exploration and expedition on the 13-million hectare Philippine Rise. On top of the teeming corals and marine species, it is said that this undersea plateau is potentially a rich source of natural gas and other resources. Is it true that the Philippine Rise can deliver the country from poverty? 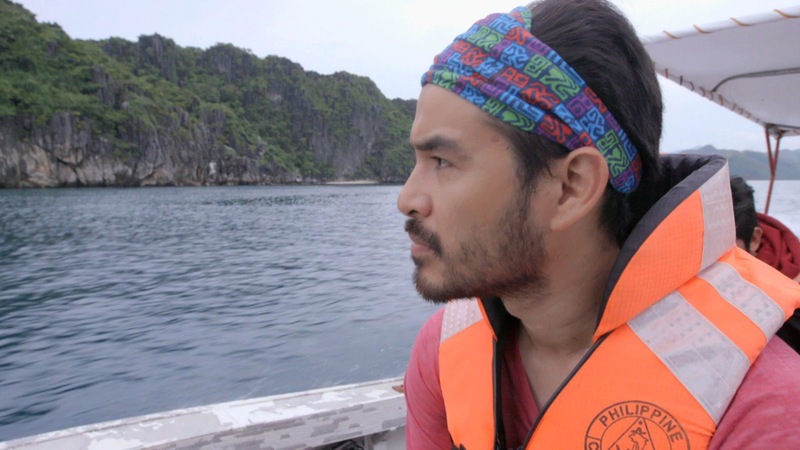 Join Atom Araullo and the team behind GMA Public Affairs’ award-winning documentaries for an unforgettable look at the current state of the country’s oceans. Catch Philippines Seas this Sunday (November 5), 3:30 p.m. on GMA-7.